As the mobile device market —led by device from Apple and Google —continues to devour traditional PC marketshare, Microsoft is reportedly looking cheaper Windows licensing fees in a bid to stop the hemorrhaging. Citing people familiar with the matter, Bloomberg reports Microsoft will slash Windows licensing fees by 70 percent for low-cost hardware manufacturers in an attempt to regain marketshare lost to devices running iOS, Android and Chrome. 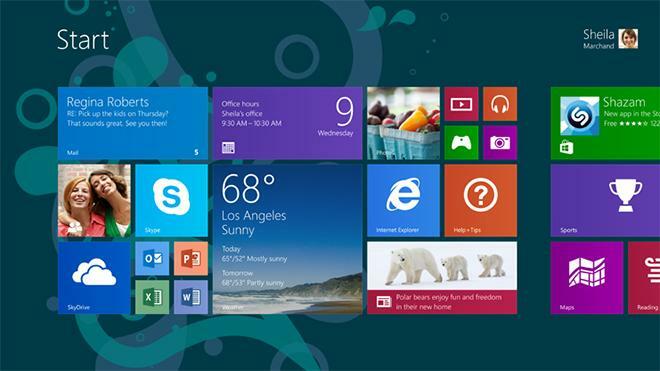 Under the supposed pricing scheme, OEMs will pay $15 to preinstall Windows 8.1 on devices that sell for less than $250. The fee is down from a traditional rate of $50 per device. Further, Microsoft will not impose restrictions on hardware size or form factor as long as the final product meets the required low retail price. In addition to the lower fees, Microsoft will also relax its licensing standards by allowing manufacturers using the cheaper rates to forego logo certification. Usually, hardware compatibility is vetted by the Redmond, Wash., company. In addition, these sub-$250 products do not have to be touch enabled. Recently-appointed Microsoft CEO Satya Nadella is said to be pushing for accelerated development and launch timelines for new Windows devices. The rumored licensing price cuts may be part of that plan. Friday's report follows rumors that Microsoft is "seriously considerding" allowing Android apps to run on both the PC and mobile iterations of Windows. The move would allow the Windows maker to tap into Google's immense share of the mobile device market.